Are you a newborn care specialist, night nanny, postpartum doula, or babysitter interested in joining Sleep Well Infant Services? We would love to meet you! At Sleep Well, we utilize a team approach to provide quality newborn care. You will serve a vital role on the team. All applicants must have training and experience with newborns and a history of successful relationships and interaction with infants and parents. We are looking for applicants who have an interest in making a difference in the lives of the families we serve. All of our Care Specialists are W-2 employees which mean you don’t have to carry your own liability or worker’s compensation insurances. We also manage all your federal and state with holding and make your tax payments for you. You can also submit your resume by email at: careers@sleepwellinfantservices.com. 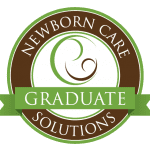 Join Northern Virginia’s Newborn Care Provider of Choice! !